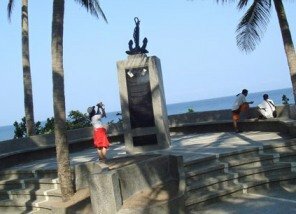 The Caunayan Landing Site in Sito Bimmanaaw is an important part of modern Philippine and World War Two history. The secluded and quiet bay is the site where the first successful landing took place in the northern Philippines during World War II. The memorial is also known as the Stingray Memorial. 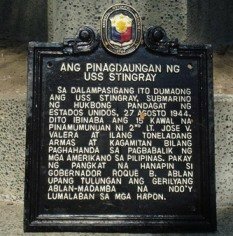 It is sponsored by the Philippine Veterans Bank, and is made from marble, stone and pebble memorial and topped by a 500 kilo anchor, and honours the bolomen and guerrillas of the Philippines and the crews of the 20 special mission American submarines that supplied them with materiel. This is where the submarine USS Stingray SS-186, under the light of a bright half-moon, the Salmon class, USS Stingray surfaced off Mayraira Point and covertly beached in August 27, 1944 and then unloaded 15 tons of weapons and supplies for the Ilocano bolomen guerrillas who, with American forces, fought the Japanese and slowly ejected them from Luzon. They also disembarked 5 Filipinos, trained in Brisbane Australia and lead by Lt. Jose Valera to lead the fight back. It was this landing that was the start of the beginning of the end for the Japanese occupation forces and liberation. When Macarthur said “I shall return” and this is where that return started, albeit not quite Macarthur. The monument is erected in their honor at this landing site where the Stingray landed and is crowned with an anchor, the marble stone and pebbles. The crown symbolizes the anchor that the submarine dropped off the waters as it left the bay. Ilocos Norte was the scene of fierce fighting between guerilla forces and the Japanese. Prior to the American invasion, the Ilocano guerillas had retaken most of the provincial towns and villages. Many civilians were subsequently killed by both the Japanese, and the guerillas as they purged pro-Japanese elements. In February 1945, it became the first province in northern Luzon to be liberated by guerilla forces. 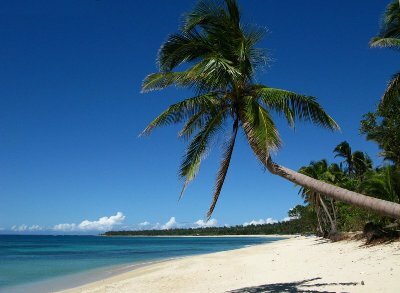 As a note more than 1000 ha of land in Caunayan is to be used to plant coconut trees for the production of biofuel for processing in Pasuquin.